Digestion is simply the breaking down of complex food substance into small molecules that can be easily be easily assimilated or utilised by the body system. 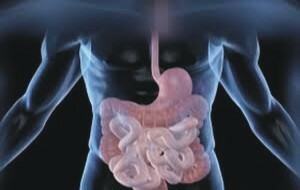 An altered digestive system or inappropriate consumption of food can lead to slow digestion. The only thing worse than slow digestion, is no digestion. Slow digestion is a situation when your digestive system is not working as it should, and you will definitely notice this because it can offer up some rather unpleasant symptoms. These symptoms include things like belly aches, your clothes feeling tighter, and you may experience a lack of bowel movement. In most cases slow digestion works its way out of your system and you feel fine afterwards, but if this becomes a problem over a longer period of time, you may have a chronic problem. The big question is this, what exactly causes this slow digestion? let us look at some 4 common causes of it. Take note of them as you read on. It is a well known fact that fiber is one of the most important things for staying regular. In this case, it is easy to understand why too little fiber can slow things down. But what you probably do not realize is that too much fiber can also be a problem, because it can cause a blockage in the intestines causing the waste to back up. It is recommended that you eat 14 grams of fiber for every 1,000 calories you eat. One of water’s many purposes in the body is to make sure that the intestinal tract is lubricated. It also ensures that the intestines are soft and pliable so that food and waste can travel through with ease. The fiber you eat also needs the water in order to do its job properly. The daily recommendation for water is about 1.5 liters. It may be a bit different from one person to the next but this is the average recommendation. Symptoms of such chronic conditions can include hard stools which are difficult to pass, pass 3 stools or less per week, random episodes of diarrhea, and frequent stomach cramps. Changing your diet and introducing a natural supplement can improve digestion, so you can live with the condition and have minimal side effects. Certain food allergies can cause your digestive system to go haywire. When you eat the trigger-food, it can cause your digestive system to come to a standstill which leaves you feeling constipated. If you suspect you have a food allergy, consult your doctor as soon as possible. Know these causes of slow digestion and try as much as possible to refrain from them in order to maintain your digestive health.